I’m ashamed to admit my ego convinced me I could figure out the tangled anatomy of the love triangle in The Wife Between Us. The book description even warns that listeners will make many assumptions. I thought my creative thinking and investigative skills would allow me to piece things together on my own long before the plot unfolded. I was dead wrong. Filled with wild twists and turns that make it painful to hit pause, The Wife Between Us swallowed me into the rabbit’s hole of a seemingly picture perfect marriage with unimaginable secrets and dangerous truths. Narrator Julia Whelan makes this story even more tantalizing with her ability to transform into a spectrum of characters, from the calculating Vanessa to the condescending Richard to the impressionable Emma. At the end of every chapter, I was dying to know more, hoping there would be a critical piece of evidence in solving the plot’s puzzle. More often than not, I was left with more questions than answers. Nothing could’ve braced me for its shocking ending. The spellbinding relationship between authors Greer Hendricks and Sarah Pekkanen began nearly a decade ago when Hendricks was the editor of Pekkanen’s debut novel. They credit their similar narrative instincts and approaches to storytelling, as well as their ability to be “curious students of human nature,” to the success of The Wife Between Us. Listen to a sample and get the whole story here. 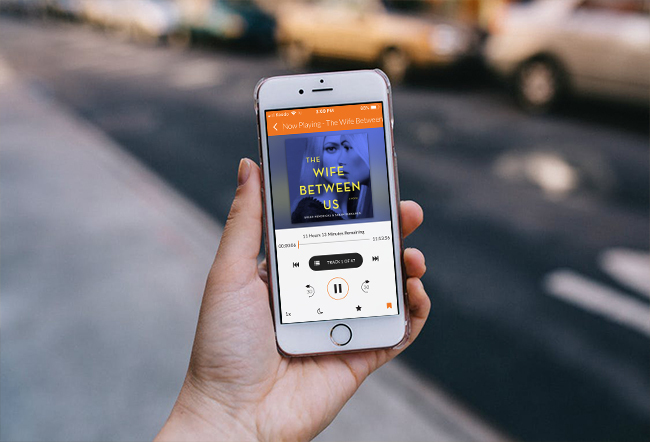 This entry was posted in #FictionFriday, We Recommend and tagged audiobook, book, ebook, Fiction, Fiction Friday, greer hendricks, julia whelan, mystery, new york times bestseller, sarah pekkanen, suspense, the wife between us, thriller by Michelle. Bookmark the permalink.